Today, the rich variety of porcelain tiles that look like wood furnish home owners with some creative new options for upgrading and enhancing tired bathroom and kitchen decors. Many residents of Manhattan, Queens and Brooklyn use these products to revitalize intimate living spaces. A small investment in faux wood tile motifs offers potentially significant rewards from a design standpoint. These attractive home improvements also improve marketability in some residential properties. 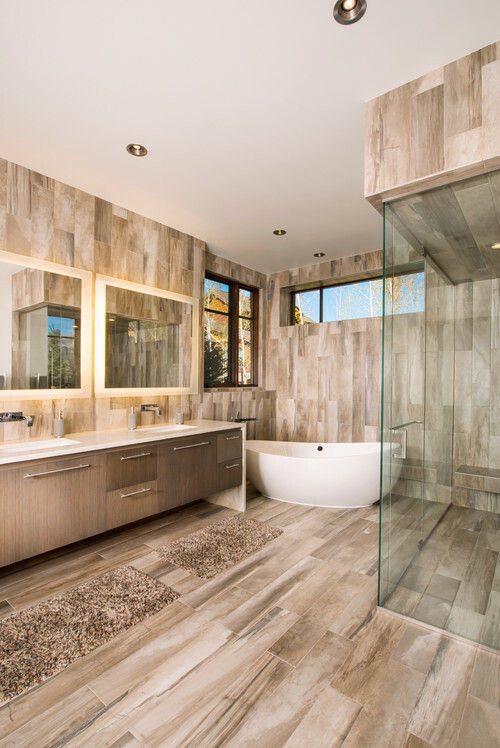 Although most people appreciate the beauty of old hardwood or parquet flooring, few people today appreciate unprotected wooden surfaces in bathrooms or on kitchen counters. Water in these locations poses a significant threat. In the past, many older buildings relied extensively upon wood as a construction material. However, liquids potentially warp fine wood, causing long term, expensive damage. A glass of water spilled across a kitchen counter top, or a leaking pipe in a bathroom soaking underneath an area rug and across a lovely hardwood floor represents a genuine cleaning emergency. If accidents occur during the property owner’s absence, a considerable repair bill may result. To safeguard bathrooms and kitchens in older buildings, property owners sometimes decide to resurface certain areas with porcelain or ceramic tile. Yet if other locations in the home employ wood extensively, the renovation risks interrupting the pre-existing, holistic interior decor. Now, by utilizing lovely, faux wood porcelain tiles in your redecorating project, you’ll carry forward and enhance the harmonious design effectively without incurring an enormous expense. We offer some wonderful examples of attractive porcelain tiles that look like wood. 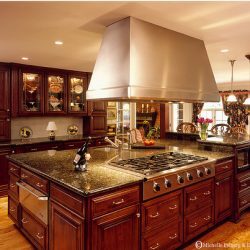 Match the rich textures and colors of these materials to the distinctive wood grains in residential vanities, bathroom flooring and kitchen counters and cabinets. You may even decide to resurface shower stalls using these customized tiles. 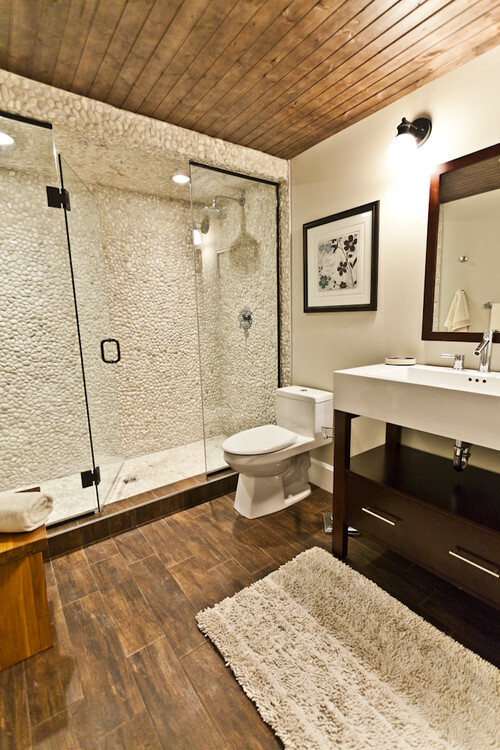 Contemporary Bathroom by Edmonton Design-Build Firms Marcson Homes Ltd. Older apartments and homes in Queens, Manhattan, Brooklyn and surrounding communities frequently reflect a tradition of fine craftsmanship. Often, the lovely woodwork in these abodes contributes to enduring value. Property owners who want to upgrade living environments without sacrificing these elegant wood surfaces will take particular joy in our wide array of beautiful faux wood ceramic and porcelain products. Select a set of rich glossy brown, beige, tan or sienna porcelain tiles that look like wood to use in your Queens, Manhattan, or Brooklyn residence. In some situations, you might employ these tiles selectively by designing a multi-colored pattern in order to carry forward a unifying color schematic. In other instances, placing tiles uniformly across the entire surface proves appropriate. (1). Visit the Home Art Tile Kitchen And Bath showroom at 35-10 43rd Street in Long Island City, New York in order to view some exquisite examples of porcelain tiles that look like wood. Take a preliminary tour at our virtual Queens Ceramic Tile Store online. 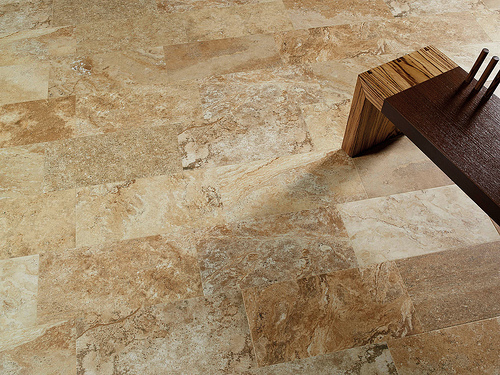 You’ll appreciate the high quality of the craftsmanship evident in our faux wood tile collections. Match colors to your unique decor and interior design needs. We carry a range of building products that will assist your renovation projects in Manhattan, Queens, Brooklyn, the Bronx or surrounding areas.